Carrie and Nick get hitched at the Central Park Zoo! this fun wedding was featured over on the Abigail Kirsch blog! what happens when a veterinarian is searching for a wedding venue? they choose the ZOO! 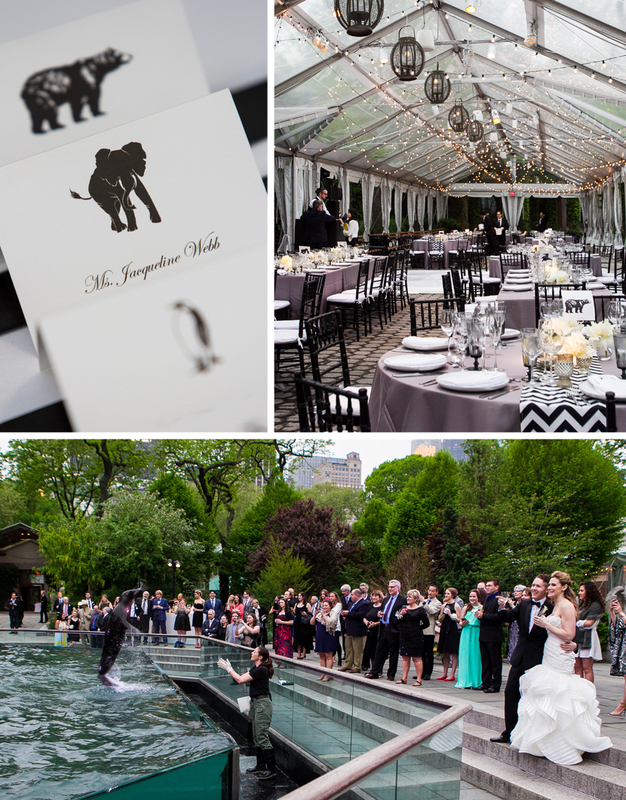 we had a blast working with this family to create a most memorable event at the Central Park Zoo in May. Printed materials including a logo crest designed specifically for the couple were provided by Lion in the Sun paperie of Park Slope. No detail was overlooked and the couple ended the evening with a photo op in Times SQ. Catering by Abigail Kirsch. Design & Decor by kerry Quade.